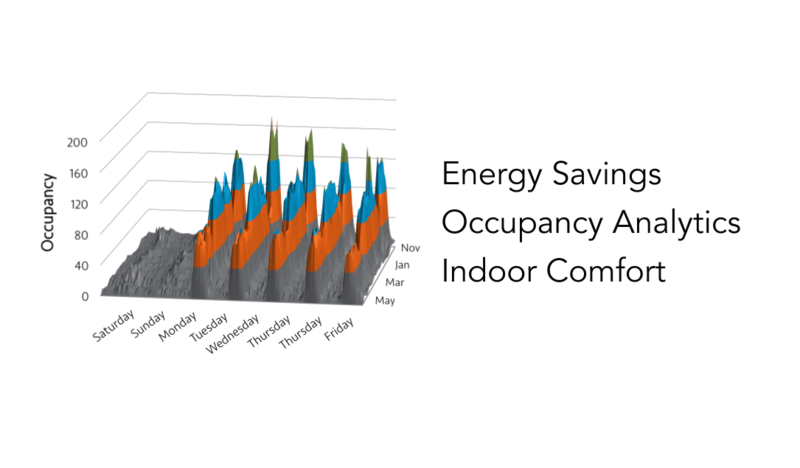 Sensible Building Science — Saving energy in buildings through sensorless occupancy counting and visualization. Sensible Building Science is a sustainability company based at the University of British Columbia. Our core product is the Bridge, a middleware solution that uses existing Wi-Fi data to visualize occupancy in spaces and adjust HVAC controls for energy savings and improved comfort. The Bridge has been commercially installed at three major BC campuses, and pilot projects are progressing in several additional locations. Sensible was founded by Stefan Storey in 2014 and employs a team of scientists and engineers. Sensible’s projects include collaborations with SES Consulting, Prism Engineering, and Cisco Systems. Research and development has been accelerated by innovation partnerships at UBC, and by funding support from NRC-IRAP. Canadian and US patents have been filed for the Bridge technology. Sensible won the NVBC City Innovation Prize and continues to break ground with new collaborations. Sensible is working with the City of Vancouver on a Green and Digital Demonstration Project (GDDP) to gain energy savings in municipal buildings.